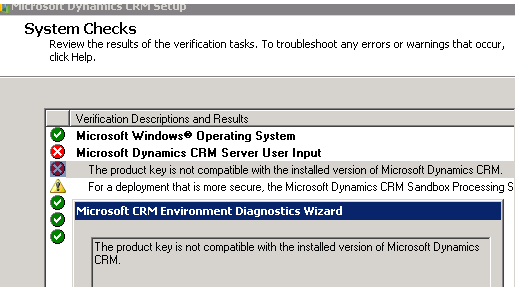 I encountered this error message while recently trying to apply a permanent license key to a CRM installation. The error message was clearly wrong because the license key was for the same version as the trial license. The solution was to essentially ignore this error message. And the way to do so was to add a registry setting that instructs the installation wizard to ignore the errors arising out of the pre-installation systems checks and allow you to click "Next" to kick off the installation. 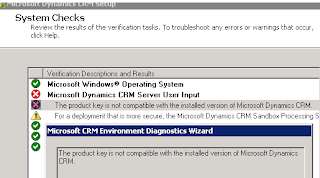 This allowed the new license key to be updated without any side effects to the CRM installation. The steps required to do so can be found here.